Hector Torres now serves as the Director of Property Management for New Community. He started in the position Sept. 17. New Community recently welcomed Hector Torres as the new Director of Property Management. 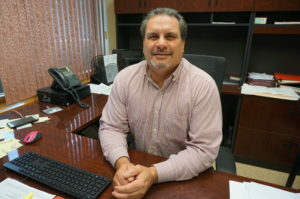 He has a degree in accounting from Fairleigh Dickinson University, but has been working in property management since the early 1990s. Torres got into property management when he was working with Peter J. O’Connor, the attorney from Cherry Hill who brought a case against Mount Laurel because that municipality refused to allow affordable housing units. The case went to the New Jersey Supreme Court and led to the New Jersey Council on Affordable Housing (COAH), which requires municipalities to have a certain number of affordable housing units. That experience made Torres knowledgeable about the different aspects of affordable housing, which is an asset to New Community. Before coming to New Community, Torres worked for RPM Development Group and had a brief stint as director of operations for the Pemberton Township School District. He found that the public sector wasn’t a good fit for him and decided he wanted to get back into property management work. A friend and former coworker told him about the opportunity at New Community, so he applied, interviewed and ultimately landed the job. He started Sept. 17. As the Director of Property Management, Torres is responsible for supervising the property managers, ensuring the buildings are maintained to certain standards, keeping the buildings financially responsible and making sure NCC is in compliance with federal, state and local regulations. He also stresses to the property managers that they shouldn’t take the job personally. Torres grew up in Camden as one of 15 children. He currently lives in Magnolia in Camden County. He has a wife, a son, a daughter and a granddaughter. He also loves pit bulls and currently has two named Roscoe and Chloe. “If I had enough money, I would open a shelter and stop working,” he said. In his spare time, Torres plays fast pitch baseball with a league, which he has been doing for about 10 years. Every November he attends a week-long tournament in Florida. Torres is impressed with the vast array of services New Community offers and hopes that more residents access those services.